What Do I Put On The Post Sign Up Page? 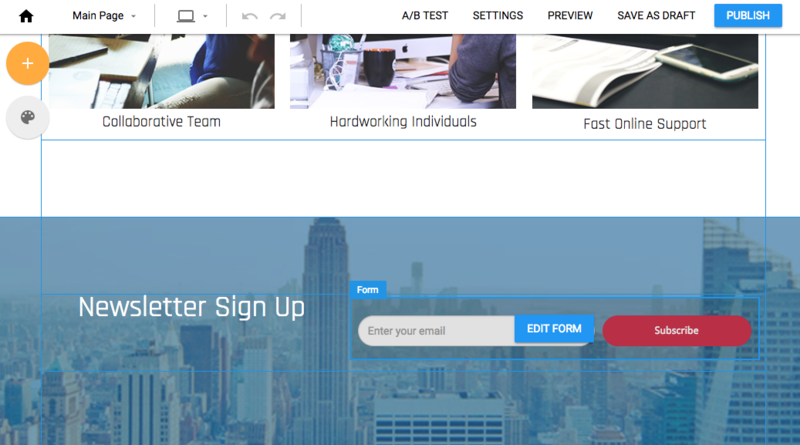 The Post Sign up page is for you to put in information you didn't include on your Landing Page. 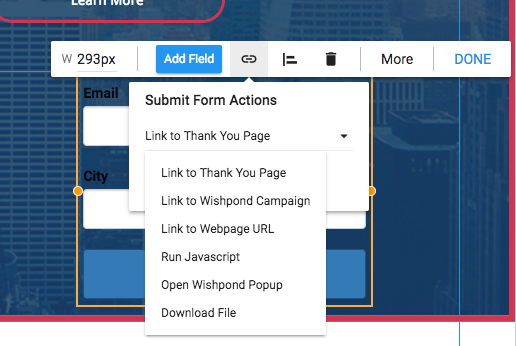 This could be more information about your business, a link to your website, a button to download something or a simple "Thanks for signing up!". 2. 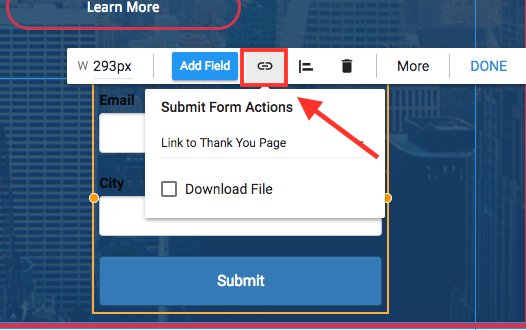 Click on 'Submit Form Actions' icon next to Add Field.